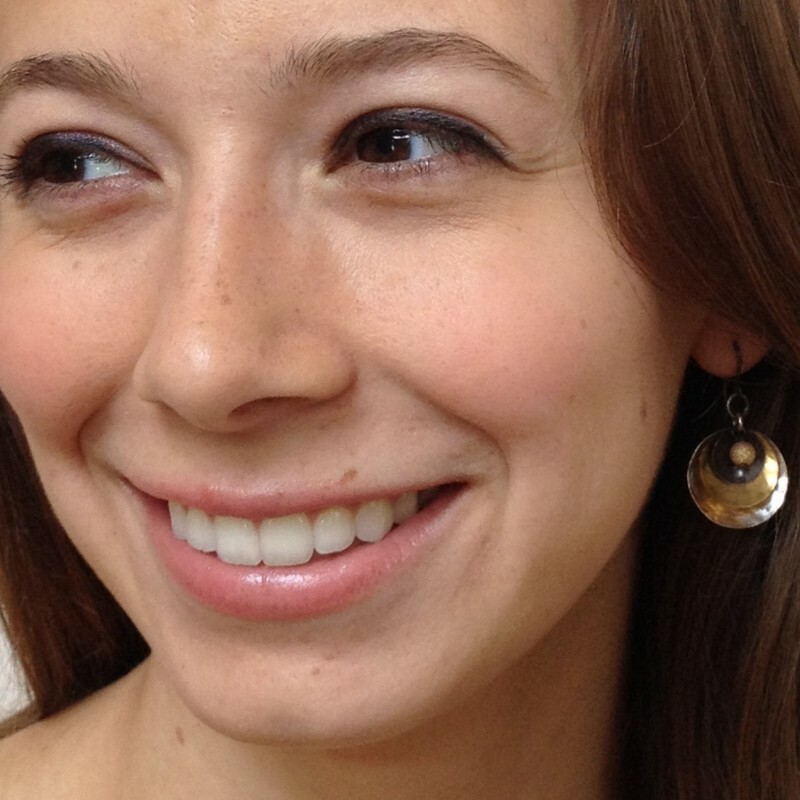 Mixed metals make these earrings versatile. 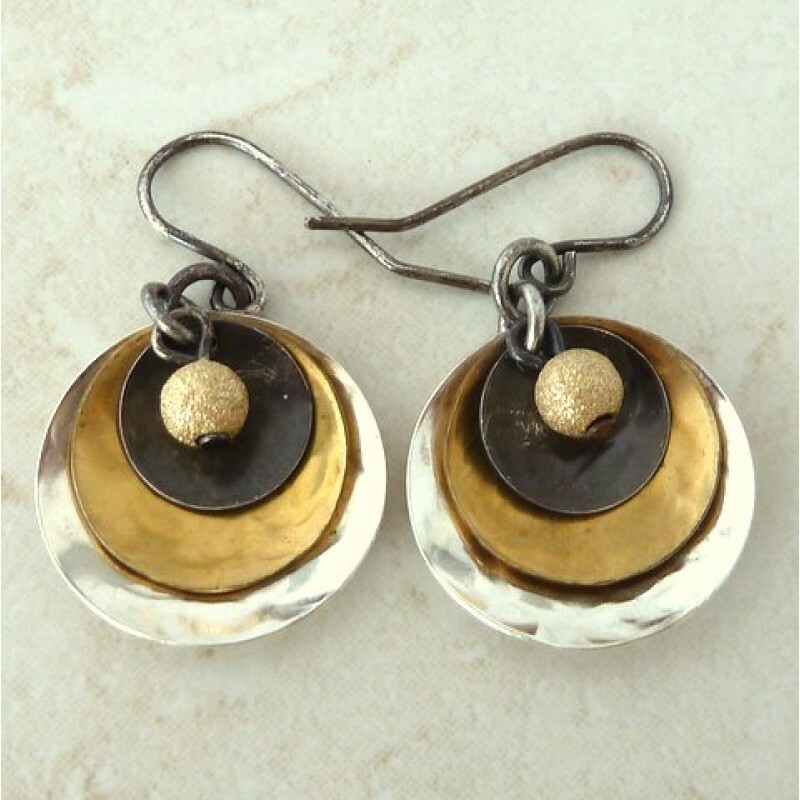 Sterling silver, brass, oxidized sterling, and 14k gold filled complement each other in a sophisticated Bohemian chic style. Mixed metals earrings will go with everything you wear. Three graduated discs are hand hammered and nestle inside each other. 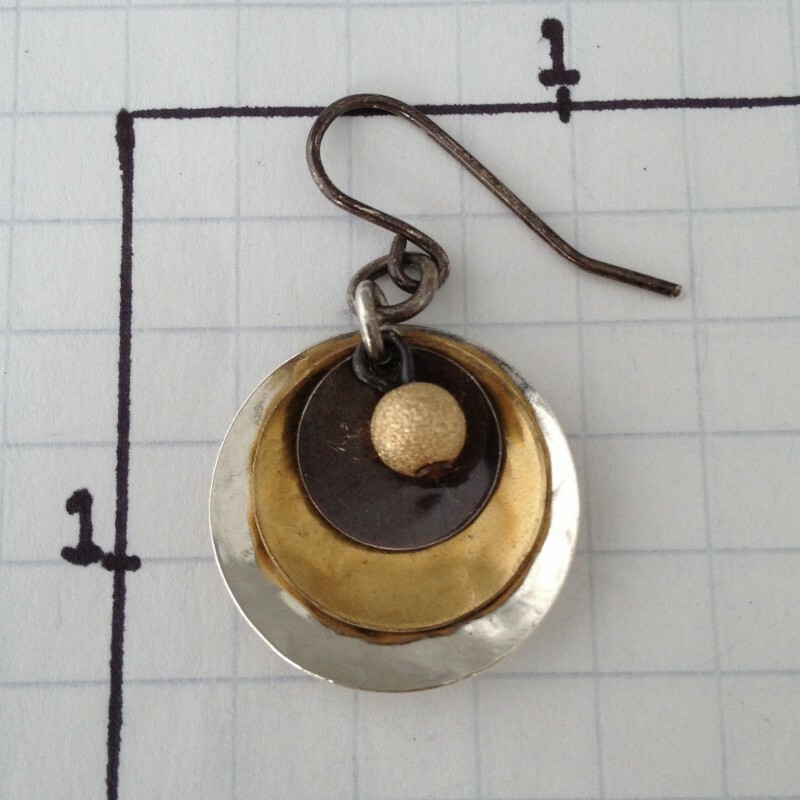 The large bottom disc is sterling silver, the second is a brass disc, and then on top is an oxidized small sterling silver disc. A stardust 14k gold bead nestles on top. French wire is oxidized to complete the look. 1 3/8" long, 7/8" wide.